The last generation of search engines is confronted with complex queries, whose expression goes beyond the capability of the Bag of Word model and requires the systems which understand query sentences. Among these queries, huge importance is taken by geo-referenced queries, i.e. queries whose understanding requires localizing objects of interest, where the user location is the most important parameter. In this paper, we focus on geo-referenced queries and show how natural language analysis can be used to decompose queries into sub-queries and associating them to suitable real-world objects. 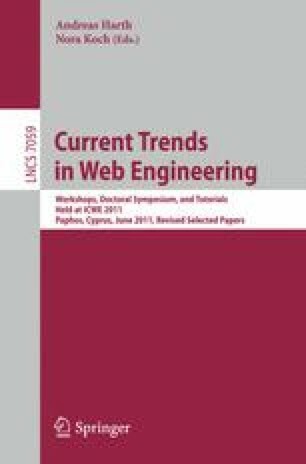 In this paper we propose a syntactic and semantic approach, which uses syntactic query segmentation techniques and the ontological notion of geographic concepts to produce good query interpretations; an analysis of the method shows its practical viability.